I'm generally not one to jump on a trend for the sake of being "trendy." I live by the motto: "wear what you want to wear." 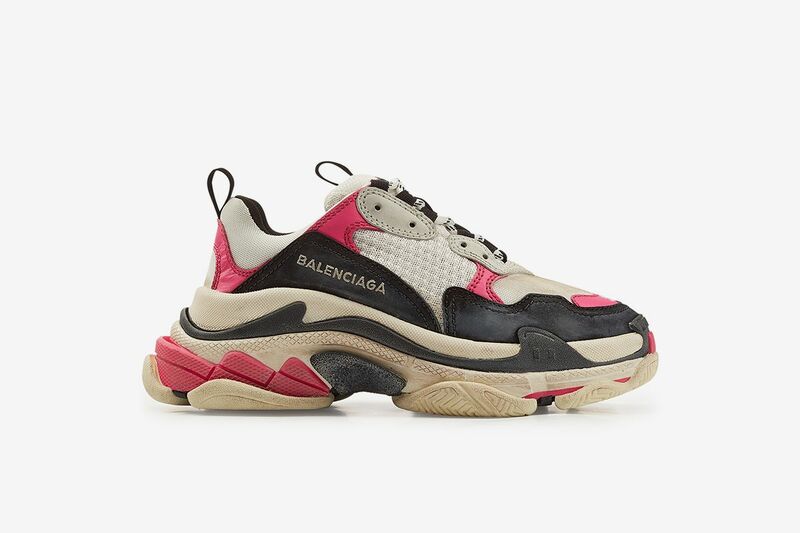 For some reason (probably the aggressive social media marketing that I submit myself to every day), at the start of this year, I found myself strangely attracted to ugly shoes. Suddenly my brain is telling me, "the uglier, the better!" 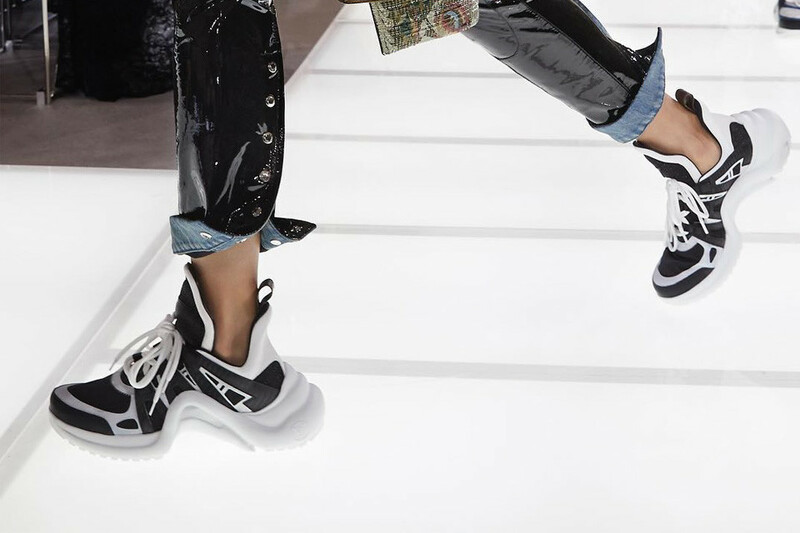 I've recently fallen in love with the Louis Vuitton Archlight sneakers. The "ugly" sneaker has been around forever... as in since the 80's... your dad likely wore these shoes when he took you to Disney Land. I actually have my own deep history with ugly sneakers due to the fact that I have insanely flat feet (they're basically deformed and they always hurt, but its fine, I live with it). 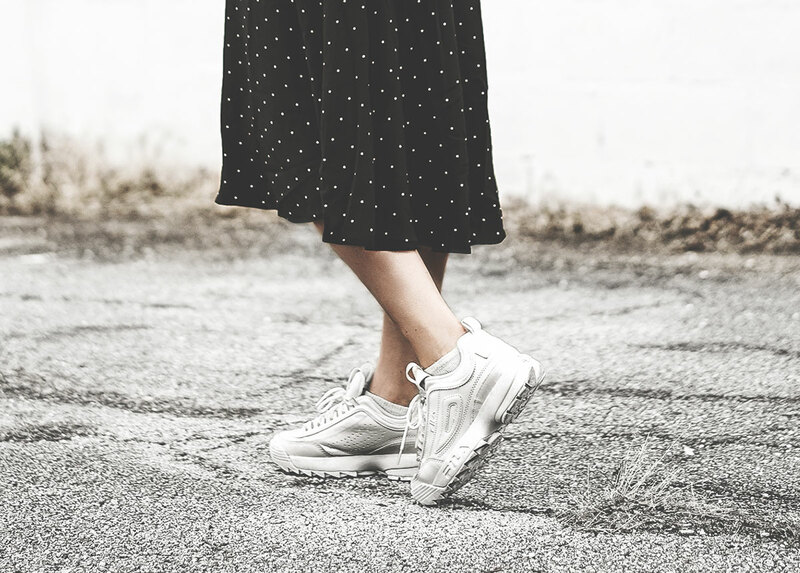 What I'm about to tell you is a true story: Circa 1995, my dear mother relentlessly tried to get me to wear the FILA Disruptor because the doctor suggested that I should ONLY wear shoes with extreme arch support. The FILA Disruptor shoe fit the bill. I remember specifically telling my mom, “you will NEVER catch me wearing those ugly orthotic shoes... EVER.” Fast forward to 2018, I bought those EXACT shoes and wear them daily. If you're on the fence, let me tell you this — I am a little upset that I've been missing out (all my life) on this level of FOOT COMFORT. I genuinely hope this trend sticks around so that I can continue to wear ridiculously comfy shoes while still looking cool AF. My top picks for reasonably-priced "ugly sneakers"
Scroll down to shop these affordable sneakers now!